A child finding a mysterious world in a wardrobe, down a rabbit hole, or in her dreams is surely the ultimate fantasy. Not only can these portals take us anywhere, but they also remind us of our own childhoods – happy summer days reading about heroic children taking on villainous women. So why is it, given our predilection to such fare, that almost every film that’s tried to follow Alice, Dorthy and Lucy Pevensie through the wormhole has ended up bombing? Sure there are a few exceptions: there’s no doubt the ‘Upside Down’ alternate dimension has played a major part in the ongoing success of TV series Stranger Things, but for every hit there’s a swathe of flops like the risible Stargate that swiftly snipped the three-film career of Jaye Davidson (The Crying Game), The Neverending Story (the adaptation of a 1979 German book that felt like it was longer than Ben Hur and duly got a sequel) and The Pagemaster starring Macaulay Culkin, a part-animation film that meant the producers could hide his rapidly-emerging acne. In fact, Culkin wasn’t the only star to see his career go down the drain (into a washed-up world) with such a film. Most will have forgotten Arnie Schwarzenegger’s ill-advised turn in the 1993 children’s fantasy The Last Action Hero, but given he had already been cast in True Lies (1994), it was arguably the film that signalled the good times were over. 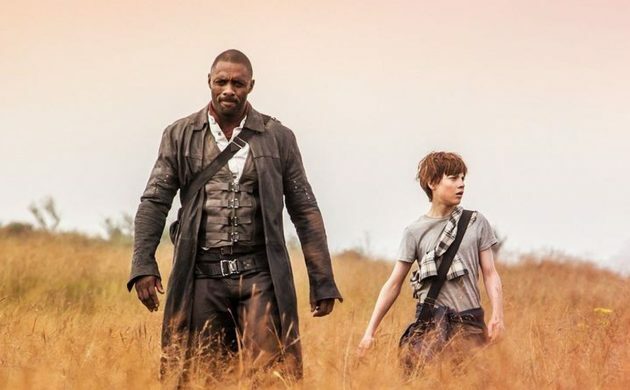 Let’s hope that won’t be the case with Idris Elba and Matthew McConaughey, whose decision to join the cast of the universally-panned The Dark Tower (34 on Metacritic; released in Denmark on Aug 17), an adaptation of a book series by erratic horror writer Stephen King, might come back to haunt them. Surely the hackneyed character names alone, the Last Gunslinger and the Man in Black, should have been enough to warn them off. Given King’s inconsistency, it really makes you wonder whether he is a franchise and that in centuries to come they’ll question his authorship in the same way we query Shakespeare’s. But with ‘It’ hitting the cinemas on September 7, he’ll soon be everyone’s darling again. Will Poulter got his big break discovering Narnia through a painting and unlike Culkin appears to be demonstrating that you can find success in adult movies (no, not those kind!) thanks to splendid turns in The Revenant and now Detroit (78; Aug 24). In the capable hands of Kathryn Bigelow (The Hurt Locker, Zero Dark Thirty, James Cameron’s ex), and released to coincide with the 50th anniversary of the Detroit Rebellion, the film recounts how on that fateful night of rioting three young black men connected to a professional black R&B group were murdered in a hotel after one of them discharged a fake pistol as a prank. Offering strong support to Poulter’s racist policeman (the villain, as he’s British innit?) is another Brit, John Boyega, the rebellious Stormtrooper in the Star Wars reboot. Another absorbing American black drama that slipped under the radar of our last cinema preview, but fortunately not the Academy’s, is Denzel Washington’s first directorial film in a decade, Fences (79; on general release), which came out earlier this month. The fences in the title are those placed by Washington’s character in front of his son’s attempts to become a professional baseball player in 1950s Pittsburgh – an opportunity he never had due to the prohibition of black players until 1947. Viola Davis offers strong support for which she won the Oscar for Best Supporting Actress. Continuing with family reconciliation, New Zealand’s second most esteemed director, Lee Tamahori, is again joining forces with Temuera Morrison, the star of his acclaimed 1994 film Once were Warriors, for The Patriarch (no score on Metacritic; Aug 17). Known as Mahana in its home country, it’s fared pretty well on Rotten Tomatoes, but mainly thanks to glowing Antipodean reviews. A better bet might be The Big Sick (84; Aug 17), this summer’s feel-good romcom, which following in the track of Master of None follows a Pakistan-born aspiring comedian as he falls in love with an all-American white girl, and then one of them gets ill. The film is based on the real-life courtship between the two stars and interaction with their prospective in-laws. Also a true story is American Made (Not Released Worldwide Yet; Aug 24) starring Tom Cruise as a pilot who works for the CIA and also as a drug runner in the 1980s. It sounds like it could be like Blow – so fun in places but ultimately too ambitious – but Cruise is developing a reputation for meddling with every film he’s cast in, so don’t get too excited. Likewise Manifesto (72; Aug 24) won’t be everyone’s cup of tea. Clever and ambitious, it stars Cate Blanchett in 13 different roles – monologues that explore themes that might be too erudite for some viewers. Finally a film for people who like art! If only someone would find a portal to a magical universe where they make good films about portals to magical universes, we’d all be happy.